Studying abroad is certainly something enriching. Studying abroad in Florence is absolutely unique. Immersed in one of the art capitals of the world for a summer course in Florence makes studying abroad even better and special. Florence is the cradle of Renaissance and one of art capitals of the world as well as an international capital of Fashion. Every year the city is animated by the fashion trade fairs of Pitti Immagine. The Italian Fashion Design and Fashion Marketing School Polimoda thus organizes summer classes in Florence to introduce students into this magnificent world of fashion. Polimoda is an international school of fashion that provides high-quality, professional education to create experts in fashion design and fashion marketing and all fields related to the fashion system. The school organizes undergraduate courses and masters in fashion design, marketing and merchandising. 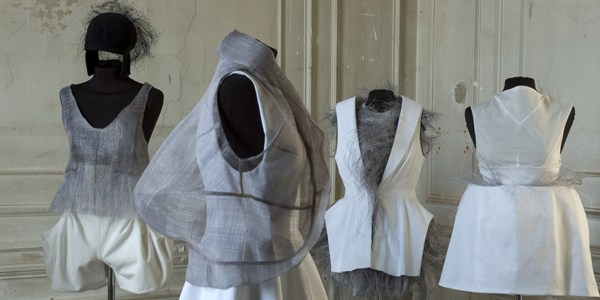 In addition to the Master in Fashion Design and international Master in Fashion Marketing, Polimoda organizes several summer courses in Florence. Among these, the most sought after classes are the fashion design summer class and fashion marketing summer class. The summer course in fashion design provides an intense introduction to the career of a fashion designer. Stylists are fashion designers that have many skills and knowledge, such as creativity and technical abilities requiring many years of study. The summer class in fashion design provides basic skills to create your first fashion clothing collection, in particular the creation and presentation of a fashion collection starting from illustration techniques and analysis of new trends. This summer course is for anyone who loves fashion and wants to study abroad in one of the capitals of fashion, as well as capital of the genuine Made in Italy. In fact Florence gave birth to big fashion designers such as Salvatore Ferragamo, Gucci, Roberto Cavalli and Emilio Pucci. The summer course in fashion marketing is an intense introduction to fashion marketing. It gives the basic notions of marketing and a deep analysis of the fashion system. As a matter of fact, marketing is a fundamental tool for fashion and there are several career opportunities in the field. What makes the Polimoda summer class different to other regular marketing courses is the perfect knowledge of the fashion system and the necessary skills to become part of this charming world that the Polimoda class offers. This summer class is open to all students who want to start a career in marketing and fashion. Polimoda Fashion and Marketing School is certainly the perfect choice for studying in Italy. This internationally famous institute trains hundreds of promising fashion stylists and fashion marketing experts every year, as well as consultants in the fashion system. The school offers a vast selection of summer classes, masters and undergraduate courses, as well as the opportunity to study in Florence with both short and long term classes.